Because Shiba Inu’s can be strong-willed, it is important to began consistent training early. It is important to find what motivates your dog to follow commands. 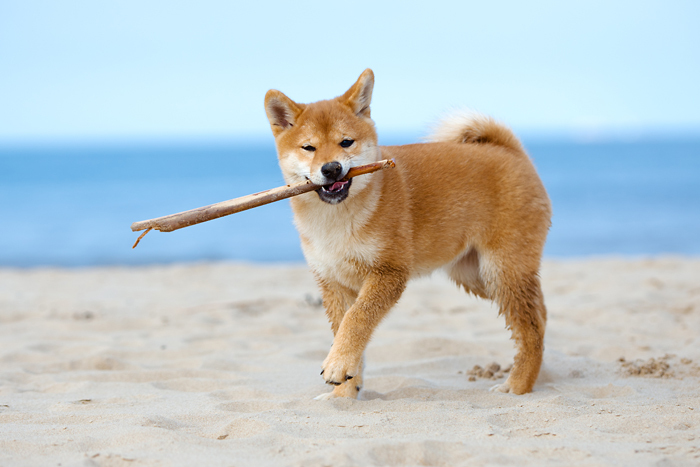 Dog treats and positive reinforcement are often the best motivators for Shiba Inus. Before training starts, make sure that both you and your Shiba Inu are in good spirits. Just How Hard is it to Train Shiba Inu’s? While many claim that Shiba Inu’s are extremely stubborn and difficult to train, I would say that their keen intelligence makes them quite easy to train despite them being a bit more independent and aloof than other breeds. Shiba Inus are very intelligent dogs. However their unique personality and distinct Shiba Inu temperament can make obedience training a challenge. Shiba Inus are independent dogs and do not need or crave much attention from their owners. So doing tricks or obeying your every command will not likely be a high priority to them. Shiba Inu training takes patience, a calm energy and lots of positive reinforcement. Training a Shiba Inu with other training methods such as alpha style dominance training is not recommended. 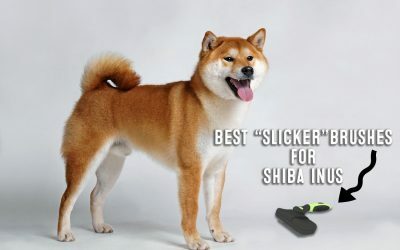 Although, it is not easy to see this personality trait, Shiba Inus are highly sensitive dogs and if handled too aggressively, you will lose their trust. The bond between you and your Shiba could also suffer. So How Do I Train My Shiba Inu? The first Shiba Inu training tip is to start early. At 8 weeks old, you can begin the important process of socializing your dog. This early stage in puppy development is critical. When you put effort into socializing your puppy and exposing it to various stimuli at this young age – the outcome is usually pure gold. On the other hand, if you fail to properly socialize your Shiba Inu puppy during critical development time – you will likely have a Shiba Inu that is very difficult to train. 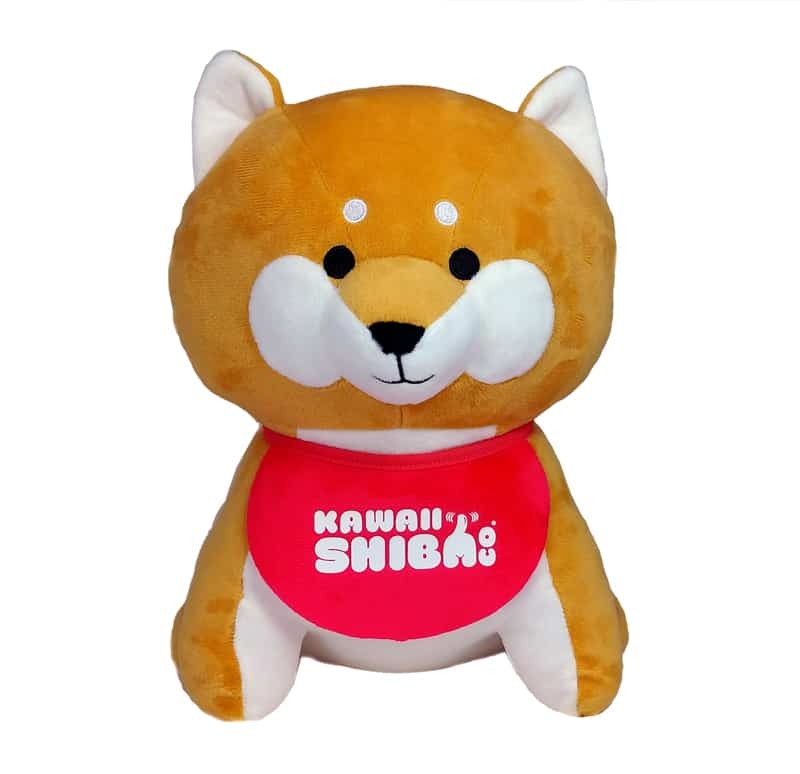 Not only will you have Shiba Inu that is difficult to train, but you will also likely have a Shiba Inu that is anxious and unsociable with humans and other dogs. 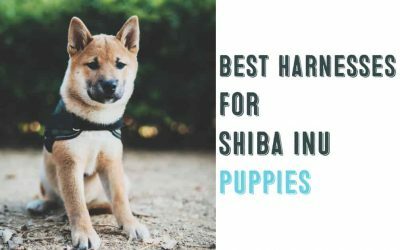 The anxiety can lead to further problems down the road such as aggression, so do whatever you can to train your Shiba Inu puppy early and consistently. 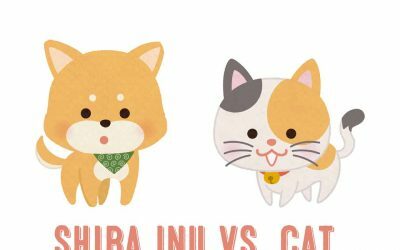 In order to properly train your Shiba Inu, it is important to understand what motivates your Shiba Inu the most. To get to the point, Shiba Inus are motivated by food. They don’t really get excited about being rewarded with play because they are not especially playful dogs to begin with. Secondly, they are not excited at all about getting affection as a reward, because they are not overly affectionate dogs to begin with either. Food – however – they like. So training a Shiba Inu would be best done using a treat reward system. Also, it is important that you established a good bond with your Shiba and that your Shiba Inu understands that you are their leader. If you just brought an adult Shiba Inu into your household, don’t immediately begin training. You need to take enough time to gain your Shiba Inu’s full trust. Due to the Shiba Inus aloof personality, this process could take a while. During this time, you need to assert yourself as a firm, but fair leader. Every Shiba Inu is different and some may need more assertive correction than others. The key to being a successful Shiba Inu leader is learning to be a balanced pack leader that is consistent, firm, and fair. If you are training a Shiba Inu puppy, make sure your puppy is in a good state of mind and keep the sessions short and positive. Shiba Inus can be mouthy dogs so make sure to teach Shiba Inu puppies not to bite at an early age. By teaching my Shiba Inu puppy not to bite, I am showing the puppy that I am the leader and that they must respect my commands. By establishing my leadership when the puppy is young – later training sessions become much easier. Some might find that puppy biting is cute and natural. However, letting your Shiba Inu bite you at any time is allowing your Shiba Inu to perform a undesirable action on you. This will make it harder for you to establish leadership over your Shiba Inu and later training will be difficult. Before training, let your Shiba Inu puppy play a bit to expend some energy and encourage a positive state of mind. You too, should be in a good state of mind. Don’t train your Shiba Inu if you are in a rushed or stressed state. Dogs, as well as little puppies are very perceptive. Training your Shiba Inu in a bad mood will negatively affect your future training sessions as your Shiba Inu will potentially associate your bad mood with the sessions. Start with really simple commands like sit and down. Reward with tiny pieces of tasty treats and lots of high pitched (they can hear it better) praise. As your puppy begins to learn the obedience commands, you can alternate between giving a treat and simply giving a vocal phrase. 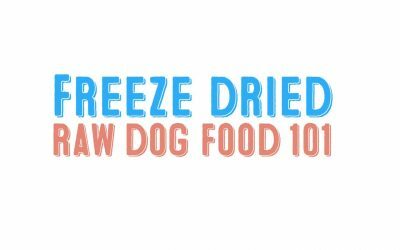 It is not ideal to give your Shiba Inu a treat every single time he or she performs a command. If you do so, they will expect a treat EVERY time and they can and will choose not to perform a command if they notice that you do not have a treat with you. It is important to have a balanced Shiba Inu that can get along and play well with others. However, this of course is easier said than done. The basic goals of obedience training is to teach your dog to listen to your commands consistently with little or no resistance. Training your Shiba Inu basic obedience commands like sit, stay, heel, and come are all important for the long term safety of your Shiba Inu as well as others around your dog. 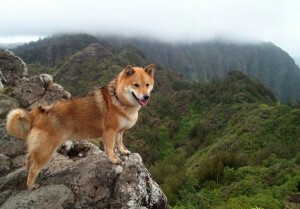 Shiba Inus have a natural inclination for hunting and they are known to be runaways when off-leash. By teaching obedience commands like stay, and come until they are 100% compliant, you can avoid a lot of heartache later on down the road. So before getting into fancier commands, make sure that your Shiba Inu knows the commands stay and come are the two commands that they must listen to EVERY SINGLE TIME – without compromise. Since Shiba Inus are an ancient dog breed, some of the wilder traits such as food aggression may show up more frequently than other dog breeds. It is important to teach your Shiba Inu that food aggression and resource guarding is not an acceptable behavior. The method to train your Shiba Inu not to be food aggressive depends on various factors. Some Shiba Inus may need a bit more assertive training while others, such as puppies, may respond better to reward training. The main point is to make sure that your Shiba Inu understands which behaviors are acceptable and which are not. 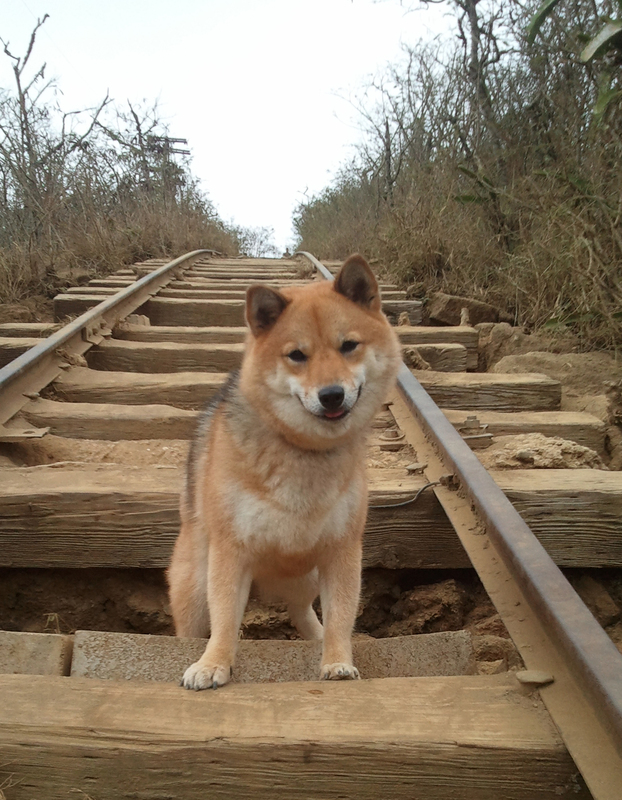 Shiba Inu’s can be very stubborn so patience and consistency will go a long way. 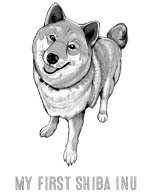 Shiba Inu’s are not excessively active dogs and will conform well to various types of active lifestyles. For optimal health, indoor Shiba’s should be given a 30-45 minute walk at least four times a week. Since there are wide variances in Shiba personality and activity needs, you must find what works best for your Shiba and your schedule. 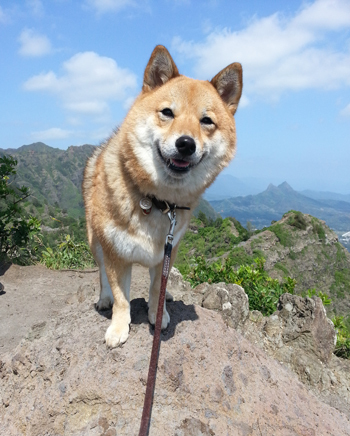 Hiking- Shiba Inus Love Hiking! 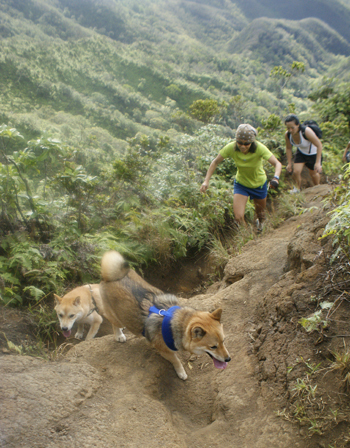 Blue skies abound and towering green mountains – nothing beats hiking as a form of exercise for dogs as well as owners. There is something special about being out in nature with your dog. 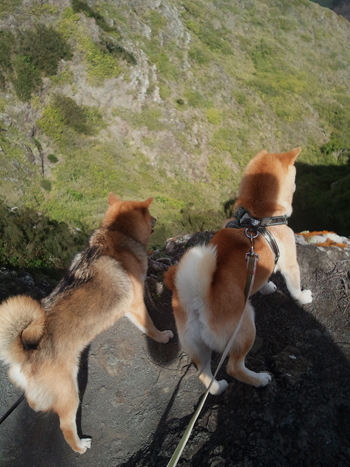 While most Shiba Inus balk at walking in busy areas – hiking is something that most Shiba Inus enjoy and love. Be sure to check that the hiking trail you are interested in taking your dog to is relatively safe and allows dogs on the trail. It is best never to hike alone, especially on unfamiliar trails. Always ensure that you choose safe, dog-friendly trails and that you are equipped with all the necessary provisions such as water, first aid, cell phone, etc. Be aware that Shiba Inu’s have a high prey drive and especially get excited when spotting small game such as rodents and weasels. 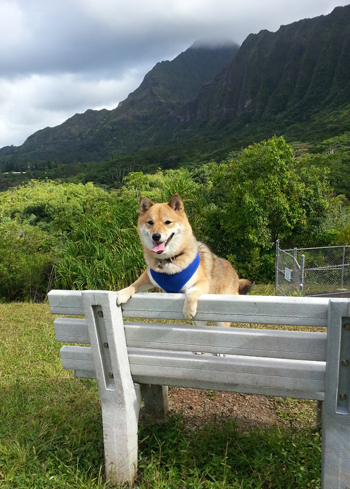 If your Shiba is especially excitable, a secure, comfortable harness might be better than a simple collar. Learn more about collars and harnesses here.